Prices start at $730. If a ‘Custom size’ select above then specify in the message box below. Honestly, it is easier than mounting a TV to the wall. 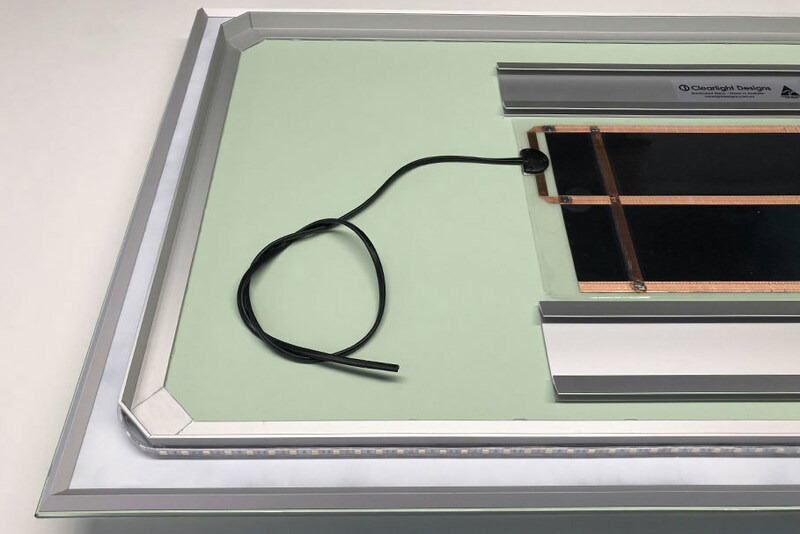 There are two parts to the lighted mirror. The mirror itself and the hanging structure. Firstly, the hanging structure is screwed to the wall. Then the Mirror locks into place over the top. Using our hidden double twin split batten system. Depending on current demand, the time until delivery ranges from 2 to 6 weeks. 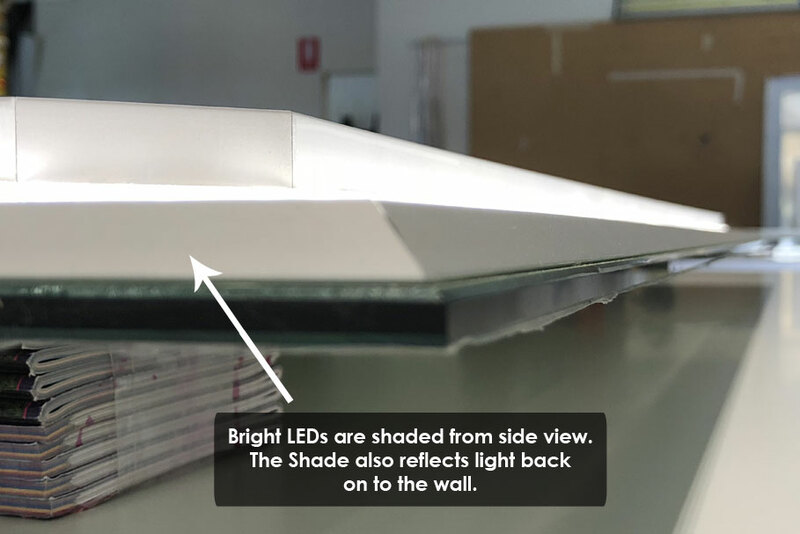 Remember that our products are made in Australia, and we take care when building your Halo Lighted Bathroom Mirror. With this in mind allow an extra 1 to 2 weeks for a custom order. 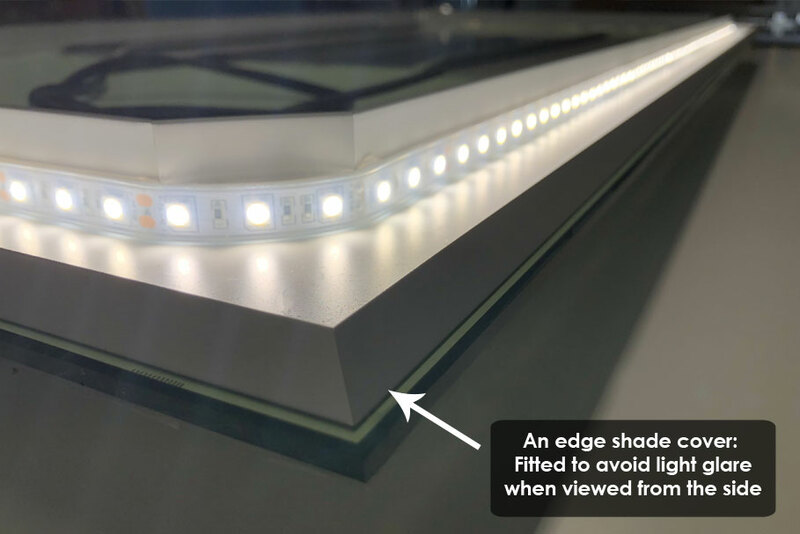 So replacing the LEDs in the lighted mirror won’t be for at least 25 years! 25 years! Because the lifespan is a minimum of 70,000 hours. 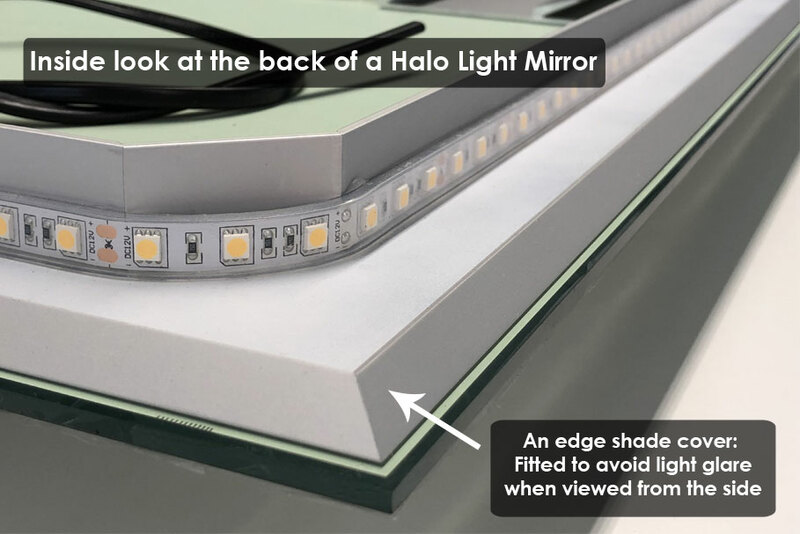 How is Halo Lighted mirror made? Good question, firstly we cut and polish a mirror to size. Secondly, we bind LEDs around the Mirror. 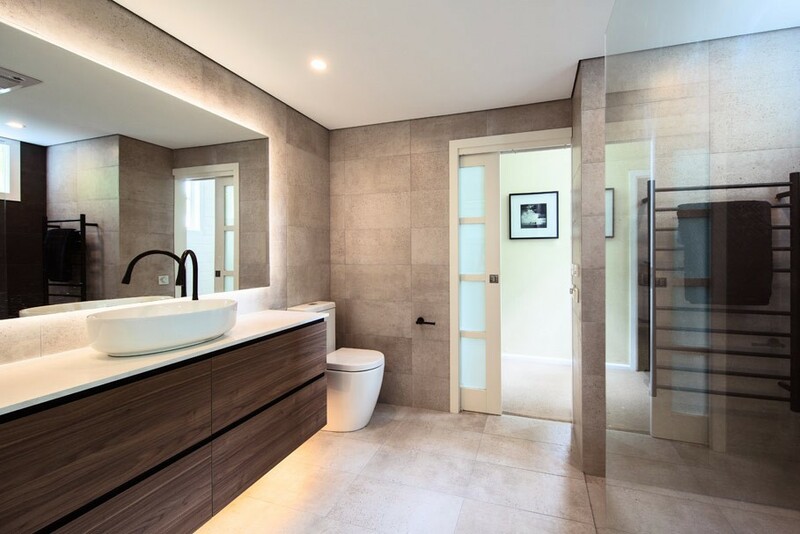 As a result, the mirror has a halo light effect that floods the wall with a soft glow. 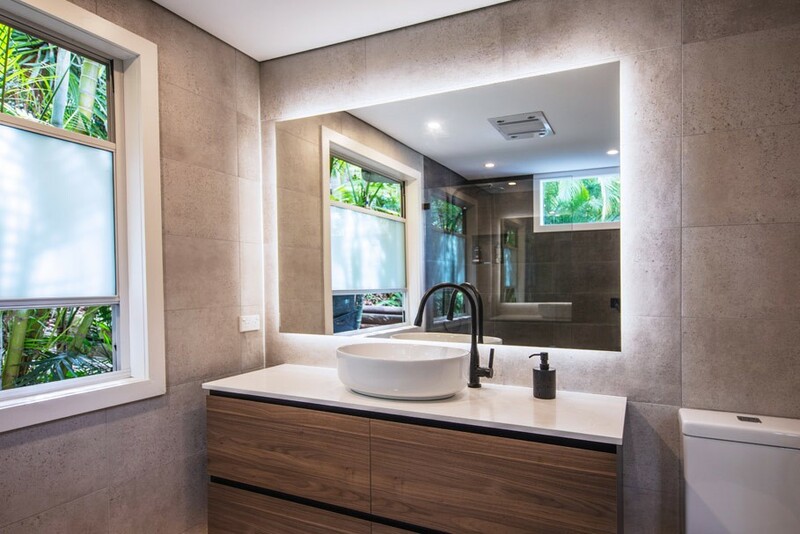 The halo mirror achieves an even radiant distribution of light. 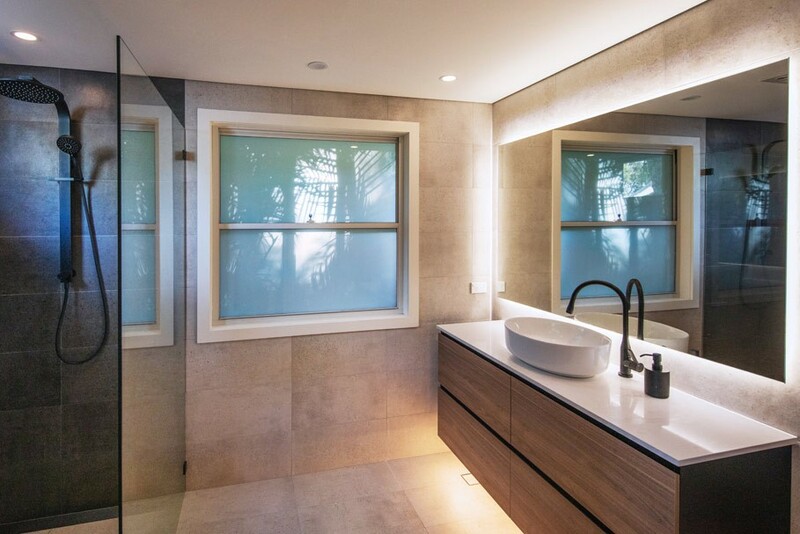 The Halo Lighted Mirror is installed in a vast range of residential homes and commercial outlets throughout Australia. 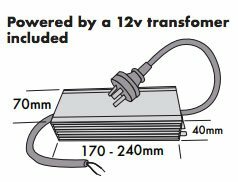 So with 12-volt LED lights, you need a 12-volt transformer. Of course, we include one with every Lighted Mirror. They plug straight into a power socket. 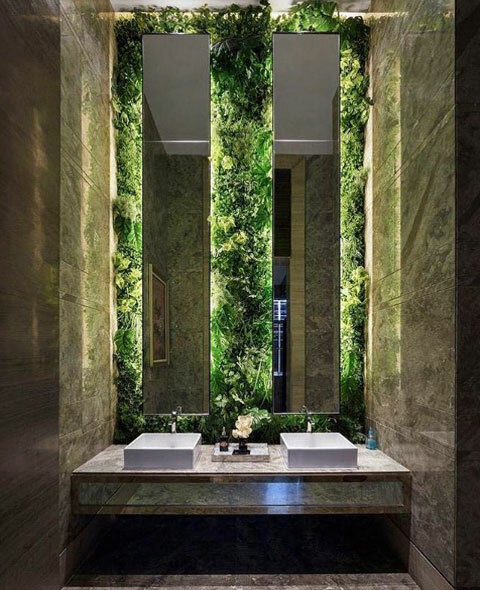 The best position for the transformer, for example, is in the ceiling or inside the vanity unit. 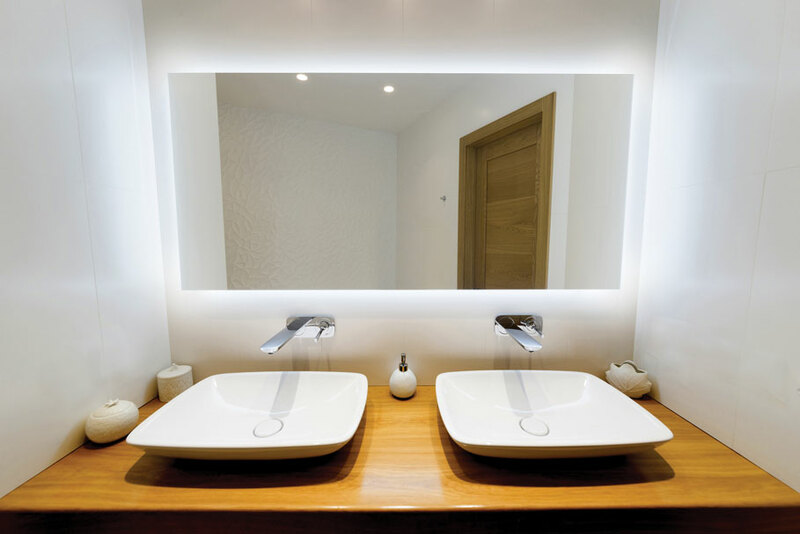 Can I have the Halo Bathroom Lighted Mirror in any room? 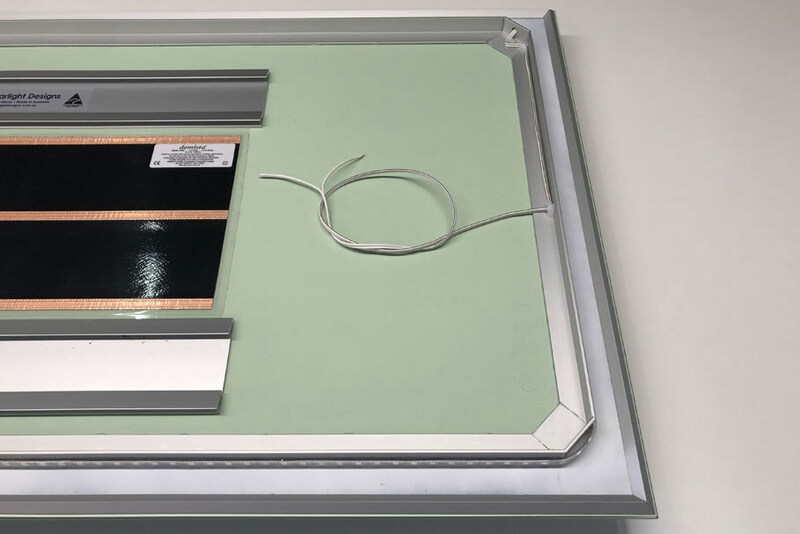 Yes, choose to install the halo mirror on any wall in the home. For example in the Bedroom, walk-in wardrobe, entrance, hallway etc. 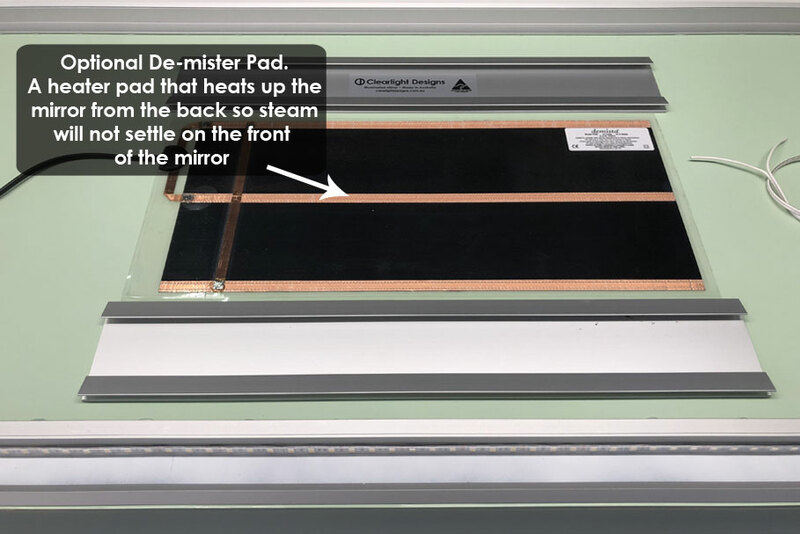 How is Mirror turned on/off? The Australian Made Campaign certifies us. Our office and factory are both located in Sydney, Australia. 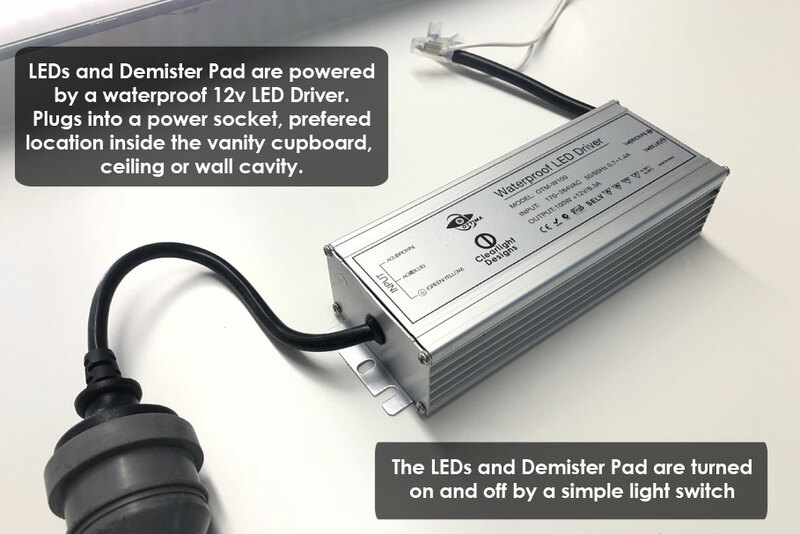 Therefore we always have full control over the products we are manufacturing. 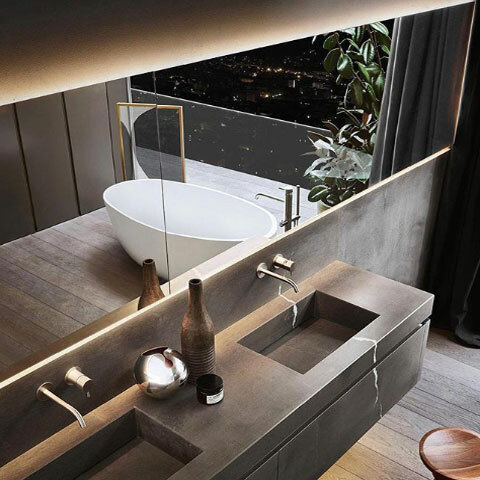 We make The Halo Bathroom Lighted Mirror in Sydney, Australia. In other words, take trust in knowing that Clearlight Designs is looking after you.